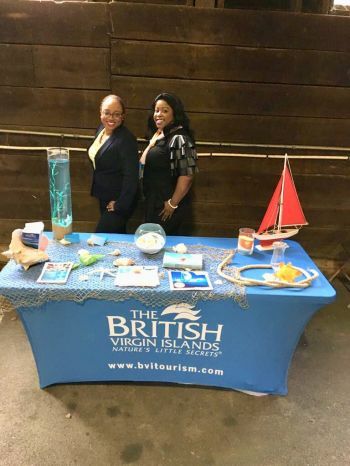 ROAD TOWN, Tortola, VI - Audiences in Wilmington, Delaware were given a taste of the Virgin Islands during a recent TEDx Talk held on September 28, 2018. TED, which stands for Technology, Entertainment, Design; is a non-profit organization that is devoted to ‘Ideas Worth Spreading’. 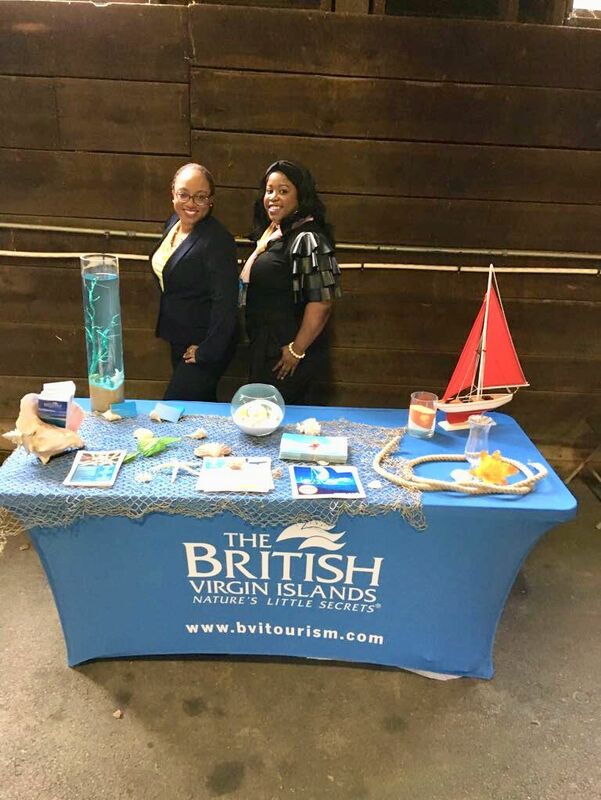 In a press release dated October 3, 2018 from BVI Tourist Board, the office said it promoted the territory through an interactive display booth, entitled “Sun, Sand and Sea”. According to the release, profound talks on their experiences of Hurricanes Irma and Maria by sons of the soil Dr Michael A. Turnbull and Mr Akeem Lennard left the audience on their feet. Dr Turnbull, a licensed clinical psychologist and ordained minister, who spoke on the topic, “Live with the End in Mind”, encouraged his listeners to live with the end in mind no matter what they may be going through. “Like myself and the resilient people of the British Virgin Islands, you can push… Living with the end in mind doesn’t mean that you’re living ominously. Living with the end in mind says that you’re going to grasp hope and a vision that allows you to push your way through obstacles,” Dr Turnbull told the usually receptive TEDx audience. Opening Mr Lennard’s talk, a surprise video featuring Virgin Gorda’s, Arlington “Gumption” Creque, sent congratulatory remarks from the beautiful beach at The Baths National Park. 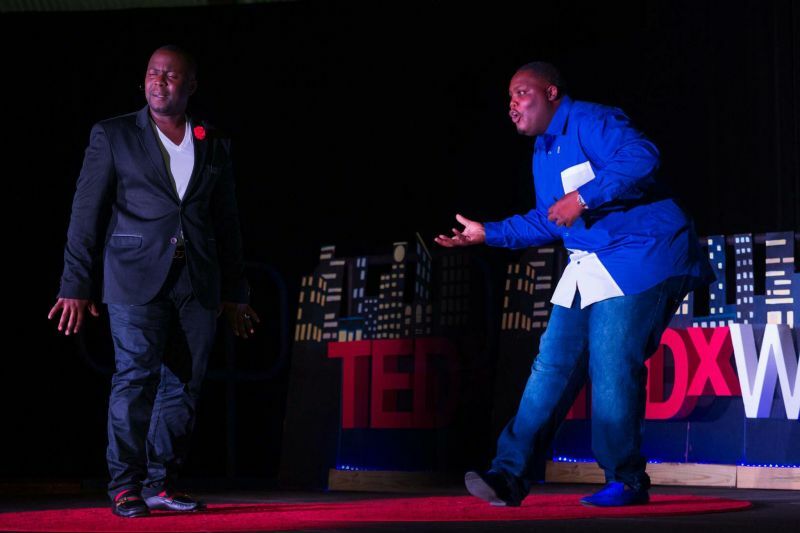 “Gumption” was the first TEDx speaker representing the BVI back in 2015. Founder and Lead Artisan of Greencrete BVI, Mr Akeem Lennard Jr. spoke on the topic, “Surviving Your Personal Hurricane with Your Company in Tow”. He described the devastation his company suffered, as a result of Hurricane Irma. Director of Tourism, Mrs Sharon F. Brutus expressed excitement at the opportunity to showcase the Virgin Islands and said she was proud of both Dr Turnbull and Mr Lennard for their motivational and eloquent presentations. TEDx is a local, self and independently organized event that brings people together as they share a TED-like experience. The Wilmington, Delaware edition was organized and produced by Mr Ajit Mathew George a certified life coach, creative marketer and serial entrepreneur who divides his time between Wilmington, Delaware and Virgin Gorda, British Virgin Islands. 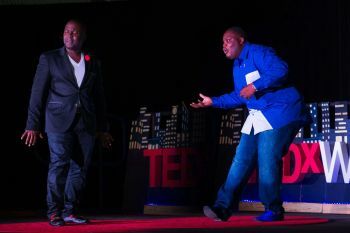 In his comments, Mr George said, “TEDx Wilmington was honoured to have Dr Michael Turnbull and Mr Akeem Lennard give inspirational talks based on their experiences during and after Hurricanes Irma and Maria. The event ended with a cocktail party and a sampling of the famous Pusser's Painkiller blend with previous guests of the VI expressing a desire to return. Well this is great but it will not get much comments since it does not involve the Police. Politics or expats or anything thing that our negative minds could feed on. But there will be though after this blog. Awesome!!! I will google the presentations.